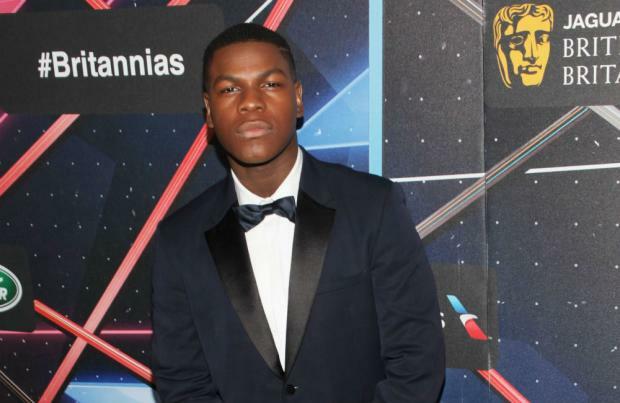 John Boyega cried when he saw his character was "consistent" throughout 'Star Wars: The Force Awakens". The actor was caught on camera in tears when he watched the latest trailer for the upcoming movie, but has now explained that it wasn't seeing the finished product that made him so emotional. He said: "What made me cry specifically was my involvement. It's not anything to do with the story; it's just seeing your character's name consistently coming up in a script for a film that is 'Star Wars'! "Because for me, I would expect to read the first two pages, then your character's name's not coming up as much. "But it was good to see that Finn was a consistent character through this story and plays a vital and importabt role. And that just made me go, 'Ohoho, yes!' "
Meanwhile, the 23-year-old actor is so confident in director J.J. Abrams' concept for the film that he finds it easy to be tight-lipped when when he's quizzed by fans and journalists on both the storyline and his character. He told Sci-Fi Now magazine: "The one thing about coming onto a project like this is vision. And I believe in J.J.'s vision. I genuinely believe that the way this guy is going about the decisions that he's making are 100 per cent correct, and because I believe in the vision, if someone asks me, 'Are you a Jedi? Do you control things? Are you Mace Windu's son?' I can easily say 'Just wait until the film comes out!'"